Gahahe was built in 1989 in the Kayanza commune and province. The name ‘Gahahe’ comes from the Igihahe trees that were once found in this region. Due to the number of these trees in this region, the Kirundi phrase kubavomere batumisha was used to describe the land, which means ‘always covered in green’. This washing station collects cherries from over 1,250 local coffee farmers spread over the 16 neighboring colonies. Waykan is a pristine example of the dynamic character of coffees from Huehuetenango. Its crisp stone fruit acidity is perfectly balanced by flavors of toffee and sweet almonds. In the Maya Q’qnjobal dialect in the region, waykan means “star, or light that shines in the sky at night.” Coffee plays a large role in Huehuetenango accounting either directly or indirectly for roughly 80 percent of the local economy. Cooperativa Multiétnica Y Pluricultural De Pequeños Caficultores Del Cauca, or COMEPCAFE, founded in 2010 by a small-but-mighty group of 44 producers, has grown to include nearly 1,000. The name of the organization itself speaks to the structure and the community, as it is truly a cooperative effort among multi-ethnic and multicultural smallholders. The group is committed to working not only as one with the planet, but also as a unit together, taking turns picking, sorting, and delivering to the co-op with each other. The cups offer a balance of toffee and caramel sweetness with tangy lime and lemongrass and more delicate touches of melon and florals. 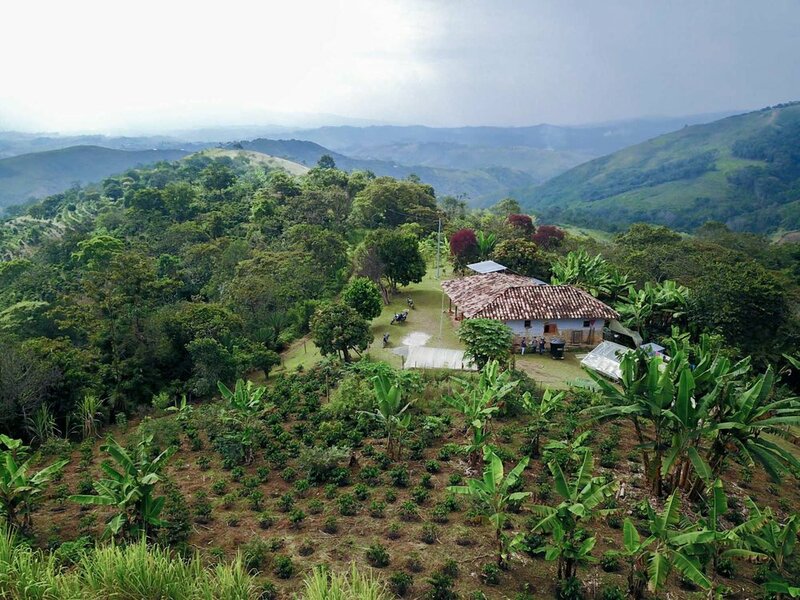 This is, in part, thanks to the high altitude (1750–2200 meters), good varieties (including Colombia, Caturra, Castillo, Typica), and meticulous processing —but also certainly thanks to the spirit of the community and the support the members provide each other. Fazenda Santa Rosa is located in the city of Berizal in the Jequitinhonha Valley in the Chapada de Minas region. Jequitinhonha Valley is full of waterfalls, caves, coffee and eucalyptus plantations, and cattle ranches. In the past, gold and diamonds from nearby mines flowed through the valley. Antonio Jose Felix Rosa began the Felix Santa Rosa project in 2002 when he, his wife and two children bought the land during a visit to the north of the Minas Gerais state. During a previous visit to the region, Jose Felix saw the land and it was love at first sight. There was no local structure, roads, or electricity. Jose Felix made many early investments to provide an ecologically sound and socially just enterprise. The goal is to make Santa Rosa farm a model farm in the region. The exact location of the farm was chosen based on factors including the number of solar hours, elevation, and low incidence of diseases, which reduces the use of pesticides.